When you’re watching Tyrion Lannister command respect from a room full of lords, ladies, and battle-hardened warriors using nothing but his charm and wit, it’s easy to forget that behind that eminently watchable character there is really just a man. A man who wakes up every morning, gets out of bed, puts his pants on one leg at a time, and, like all of us, was the lead singer of a rap/rock/punk/funk band in the mid-’90s. That man’s name is Peter Dinklage and that band was Whizzy. 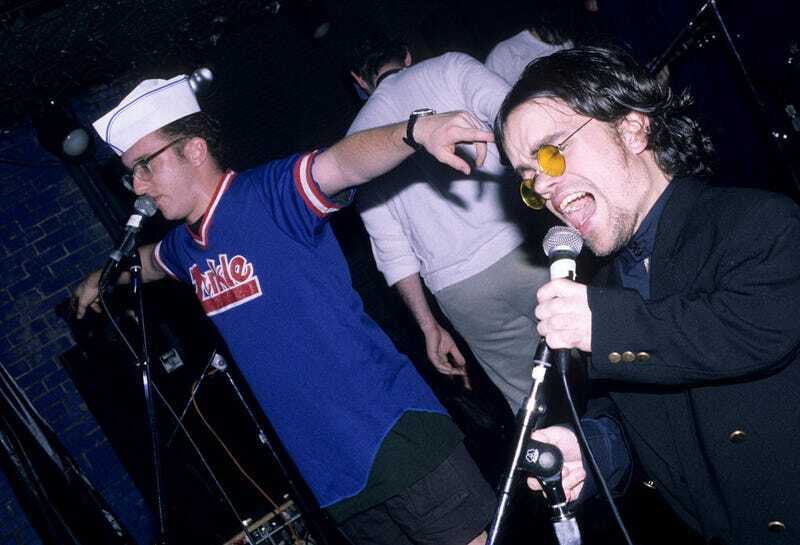 Though no video or audio recordings of the band seem to have survived, it’s easy to tell from these photos that they had all the hallmarks of a classic ’90s ensemble. Unnecessary horn section? Check. Too many frontmen? Check. Wardrobe that looks like each band member pulled randomly from a different Goodwill donation bag? Check. It’s no wonder Dinklage’s performance of “Space Pants” on SNL was such a hit. For all we know, that was a Whizzy original.